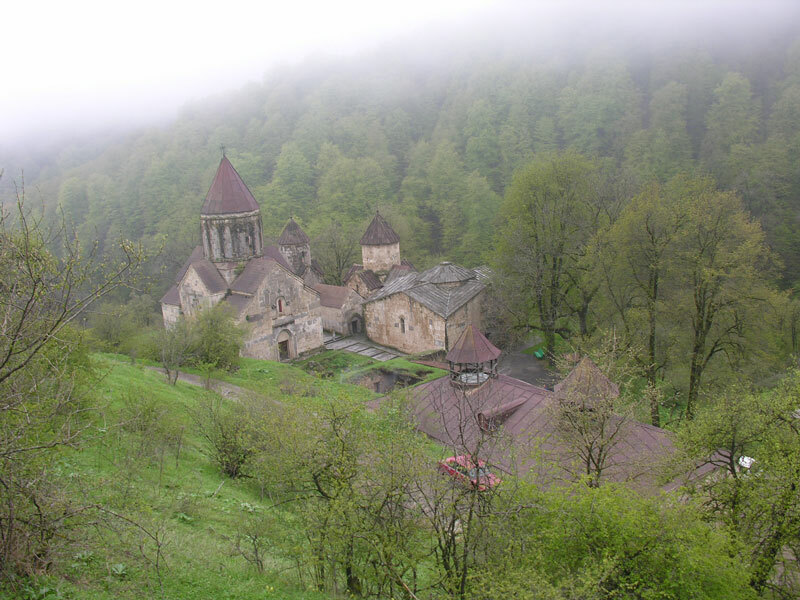 This monastic group of buildings, near the town of Dilijan includes three churches, two gavits (one in ruins), a refectory, a group of chapels and several khachkars. The principal church Saint Astvatsatsin was built in 1281 as a cupola structure with a tall drum. The south entrance is crowned with decorative moldings. All the walls, except the west one, have two triangular niches on the outside. The most ancient of the group is the church of Saint Grigor (11th century) with its cupola on an octagonal drum. 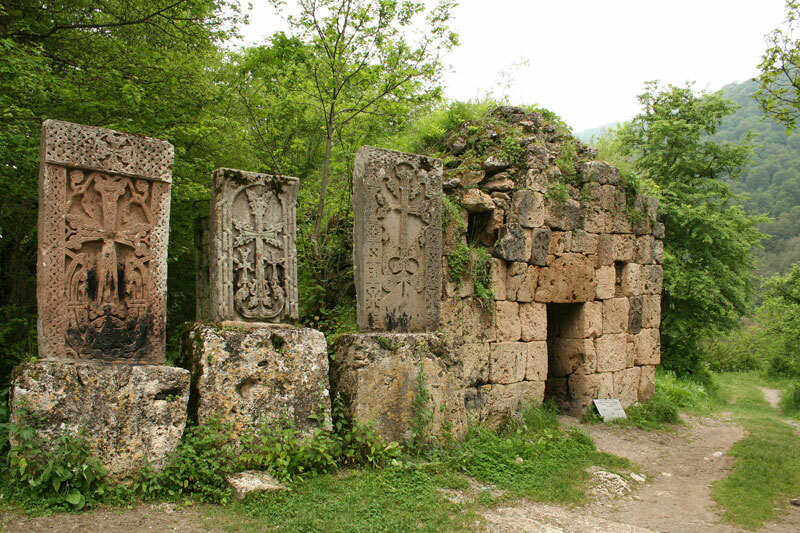 A second near-by gavit is rectangular in shape and built in the 12th century. The small church of Saint Stepanos (1244) of the cupola type, is an elegant structure with finely worked motifs. The refectory built in 1248 by the architect Minas, is one of the best representatives of medieval Armenian architecture: a structurally daring concept is divided into a pair of communicating square halls, roofed with intersecting arches.